As the old saying goes, "You win some. You lose some." For the most part, I'd count this past month's worth of reading as a loss. Summertime-fun left us with very little focused reading time. We read together as a family nearly every day. But, our individual reading habits kind of went by the wayside as we opted for out-of-doors activities most of the time instead. We have the unfinished books and farmer's tans to prove it. We'll be hitting repeat on most of the books from last month's book list. 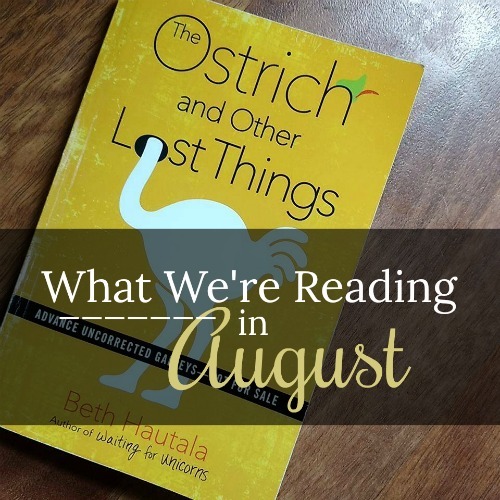 Here's what we'll be reading as we wind down summer. 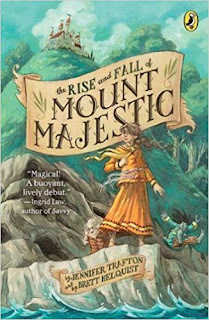 The Rise and Fall of Mount Majestic- So far my kids have been loving this quirky fantasy about Persephone Smudge and her quest to prove that the entire island she calls home is actually the belly of a sleeping giant. I, on the other hand, think it's a bit meh. Please note, however, that my distaste for the writing is completely personal. I'm not a fan of the fantasy genre. Not at all. What makes this particular book even more displeasurable for me is the unbelievable silliness woven into the narration. I also don't like the way the setting continues to change every-other-chapter, making it difficult to follow the plot from chapter to chapter. I find myself giving one giant eye roll every time I pick it up. Fortunately, it is still a book I would recommend. It's clean and definitely appropriate for tweens and below. 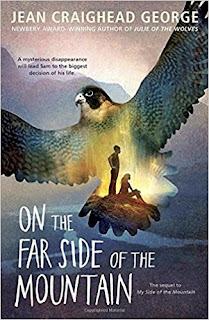 My daughter read it solo last year and absolutely loved it. I think it is better suited as a read alone, not a read aloud. The Screwtape Letters- Earlier this month, I asked some of my spiritual sisters and mentors to tell me the top two most spiritually-forming books they've ever read. I compiled a list of their answers and decided to slowly read through each title in the next few years. 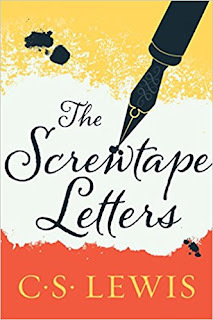 For no particular reason, I landed on The Screwtape Letters this month. I'm a wee bit embarrassed to admit that I've never read this pillar of Christian lit. I'm about halfway through with it, and to be honest, I'm not sure what kind of review to give it. On the one hand, it has been a great reminder to me of the spiritual battles waging all around humanity and has made me really evaluate my view of Satan and his abilities or lack thereof. But on the other hand, because it is written as a satire and because God is referred to as the "Enemy," I find it hard to follow at times. I'm so used to thinking of Satan as the enemy that I've often had to reread passages in order to make the mental shift this book requires. 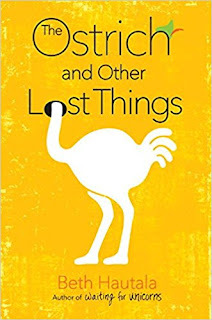 The Ostrich and Other Lost Things- I've been vetting this soon-to-be released middle grade fiction to see if it would be something I could add to our read aloud list or to one child's Mom-assigned list. 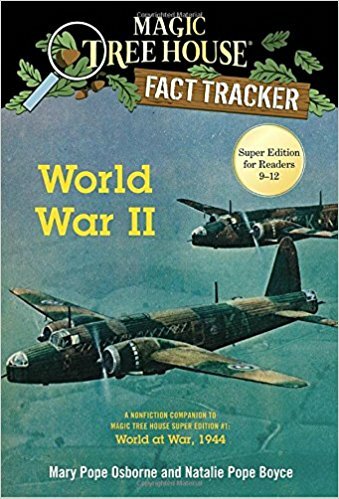 I just turned the final pages and will most definitely be adding it to our personal library and recommending it to my kids. 11-year-old Olivia Grant has reached an age when her older brother's autism diagnosis begins to mean new things for her and her family. She struggles to find her place in this delicate sibling relationship. 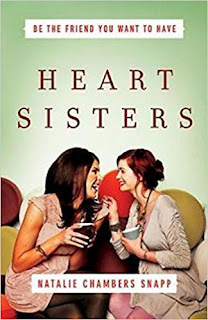 In her misguided effort to help him find NORMAL, she learns a powerful lesson about unconditional love. This gem is due to hit shelves in February 2018. If you have a desire to help cultivate compassion, empathy, and the selfless love of siblings, run (don't walk) to preorder it. War Horse- (Mom-assigned book) My oldest son is still plowing through this World War I fiction which shows the realities of war through the eyes of a cavalry horse. In full disclosure, there is one chapter that includes some verbal abuse by a drunken father and another chapter that uses the words hell and heck. 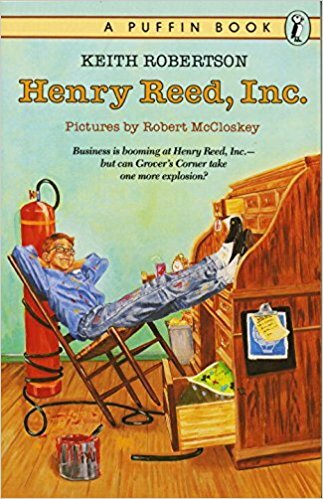 Henry Reed Inc.- (Mom-assigned book) He's almost done with the misadventures of Henry and his neighborhood friend as they spend a summer learning the value of free enterprise. We read it together as a family a few years ago and now he's reading it solo. On the Far Side of the Mountain- My son is still working his way through this wilderness adventure. 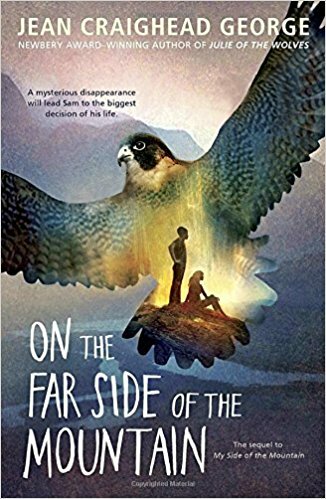 Neither one of us had ever read it before, but since we both enjoyed the original My Side of the Mountain, we figured the sequel would be great too. While my son likes it, we both agree that it's not nearly as captivating as we had hoped it would be. 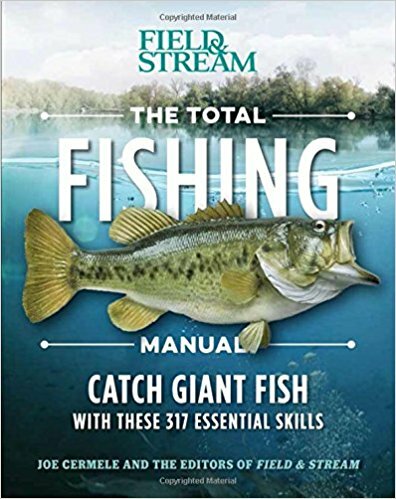 The Total Fishing Manual- (Just-for-fun book) He's read and re-read this one about four different times since spring. 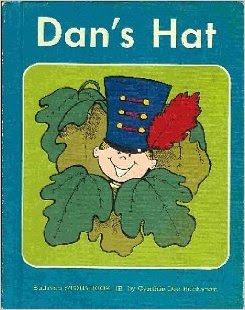 Dan's Hat- I wish I could say I've scheduled in lots of reading practice for my youngest this summer, but that would be a big-fat-lie. I haven't. So, for nearly the third month in a row, he's still reading this vintage emergent reader I picked up at a used book sale this past June. 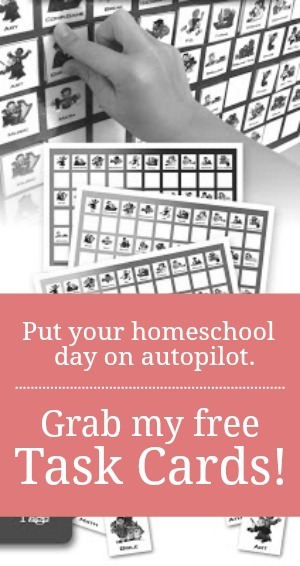 My inconsistency would have bothered me back when I first started homeschooling, but now with ten years under my belt, a lack of scheduled reading for a five-year-old doesn't trouble me in the slightest. If he's still reading this same book by the time he graduates, then I'll be concerned. What books are you reading this month? I've shared my list. Now you share yours. Our family read aloud is dragging a bit. We are still, over several weeks, reading The Penderwicks at Point Mouette. 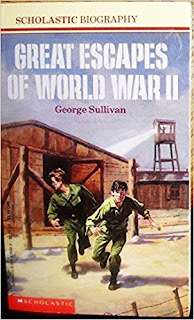 We probably have enjoyed this one, the last in the series, the least of all the titles. 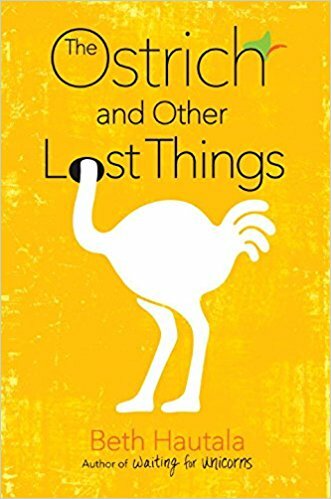 It doesn't have as many humorous spots as the previous titles (definitely not as funny as the original), but we are still enjoying it because we still want to know what is happening with all the characters. And my kids ask me every night if I'm going to read from it, so it's still worth reading. Just a little disappointed, but the bar was set pretty high. Thanks for the head's up on that one, Mindy. I picked up the audio version of it at the beginning of summer and we got only a few chapters in before we had to return it to the library. 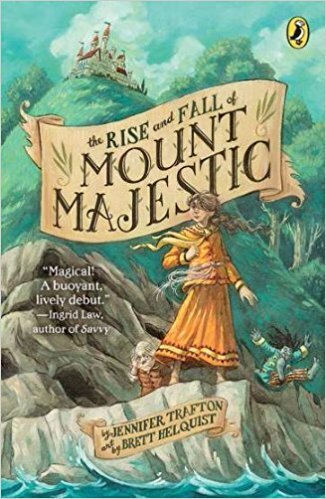 My kids didn't really like the narrator's voice of the audio, so we just didn't listen as often as we should have. I did think it was a bit slow, but since we only got to chapter four or five, I assumed it would eventually get better. Apparently it doesn't. Our read aloud hasn't gone as quickly as past months either. We have to enjoy the sunshine while we can! For our family read aloud are finishing up Treasures of the Snow by Patricia St John. We also listened to CS Lewis's novel The Magician's Nephew on a long road trip. The kids really enjoyed it, I loved it too and it made a long car trip very fun. 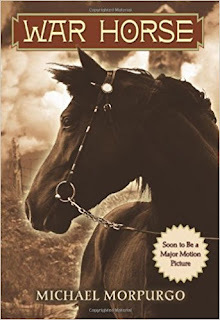 I'm reading The Girl of the Limberlost by Gene Stratton-Porter and I am loving it. My little man started reading Winnie the Pooh by A.A. Milne, we have read it aloud as a family a few times and he loves it so much he is reading it to himself now. That's a book he can't ever get enough of! He is a big Pooh fan :) My little lady is reading any Arnold Lobel book she can get her hands on. Great summer so far, lots of reading and sunshine. Love hearing other's book choices! Arnold Lobel...swoon! A.A. Milne...double swoon! Your kids have great taste. I've not read The Girl of the Limberlost, but I've heard nothing but great things about it. What a great line-up for your month! Thanks for sharing. I hope you can get a chance to read the Girl of the Limberlost. It is such a good story. Right up there with Little Women and Anne of Green Gables. My second favorite of Gene Stratton Porter's books is A Keeper of the Bees. This was her last book before she died. It is filled with a lot of nature and an intriguing plot set near the ocean. I admire in these two books the high morals her characters live by through hard times. Great books for high schoolers and beyond. Oooo...some good titles here, Melissa! I've had Girl of the Limberlost on my list for quite a while. Glad to know it's so similar to other ones I've enjoyed.